So here's the thing that remains after the loved one has left. Memories. All of those memories you carry around, lodged in your heart and mind. And it doesn't take much to rouse one up - a song on the radio. The smell of something on the stove. Driving by the place where you met for the first time. Standing in your kitchen where he would always kiss the back of your neck. That dress you wore on his birthday. Looking out at the snow-covered garden where you attempted to grow kale because he really, really loved it. I'm surrounded and can't help but remember. As the days go on, maybe the memories will fade a little, retreating into that little corner of my heart saved for loves lost. Okay, let's cheer things up a little around here and talk about cake. Cake will always make me happy, even if it's just for a ten minutes. This particular cake is a bit unusual in that it has an extraordinary amount of olive oil, eggs and rosemary in it. I love mixing herbs into my sweet things - remember these rosemary oatmeal shortbread and these berry and basil cream scones? 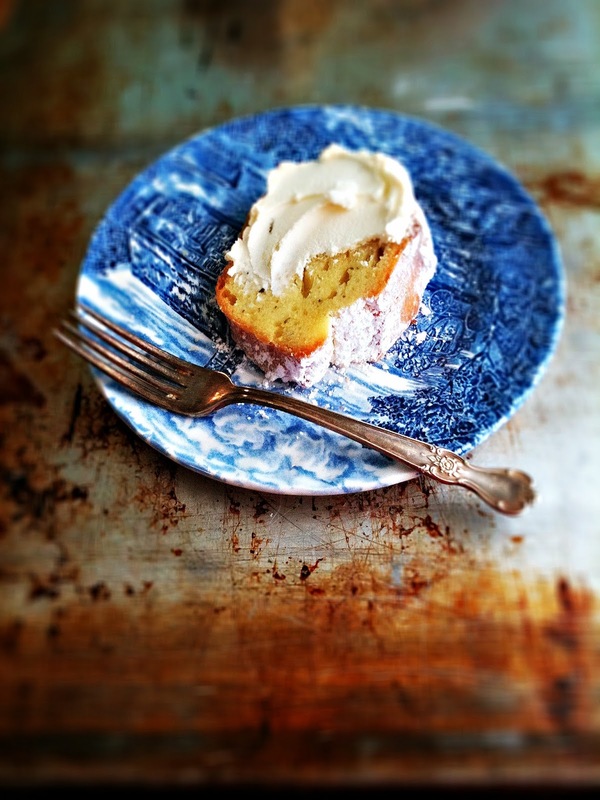 I'll admit to being a little unsure of this cake at first (all of that olive oil!) but with so many other crazy variables in my life right now, what's there to be afraid of when it comes to cake? So I jumped right in and baked it up on a Sunday morning. And you know what? I love this cake. I read Tamar Adler's An Everlasting Meal not too long ago, and if you haven't already, I encourage you to do so as well. The book stays with you - I'm still thinking about it. Beautifully written, I loved the chapters on eggs (drizzled with olive oil and salt), vegetables (save all of the trimmings!) and how to cook for yourself when you think your cupboards are bare. 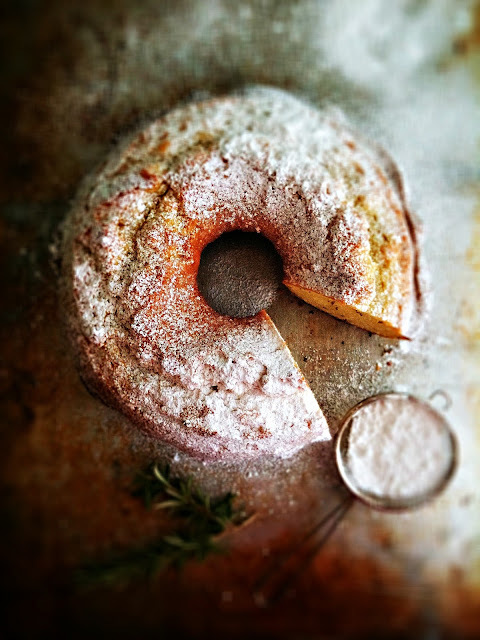 This recipe for rosemary & olive oil cake was tucked away in the final chapter and after I read "...I like this cake, because it's not too sweet that I'm quietly sad that the salad has left the table. There are no layers or frosting; nothing to crack or leak..." I knew it was just what I was looking for. A simple batter to prepare - but first butter and flour your bundt pan. You'll need to beat eight eggs, sugar and almost two cups of olive oil together, fold in finely chopped rosemary and lemon zest. Mix in flour, baking powder and a little salt and pour it into your pan. Bake for about 50 minutes, til golden and absolutely gorgeous. Because of the hefty oil count, maybe don't use your pricey stuff in this cake. I found a decent brand of organic extra virgin olive oil on sale and it worked just fine. 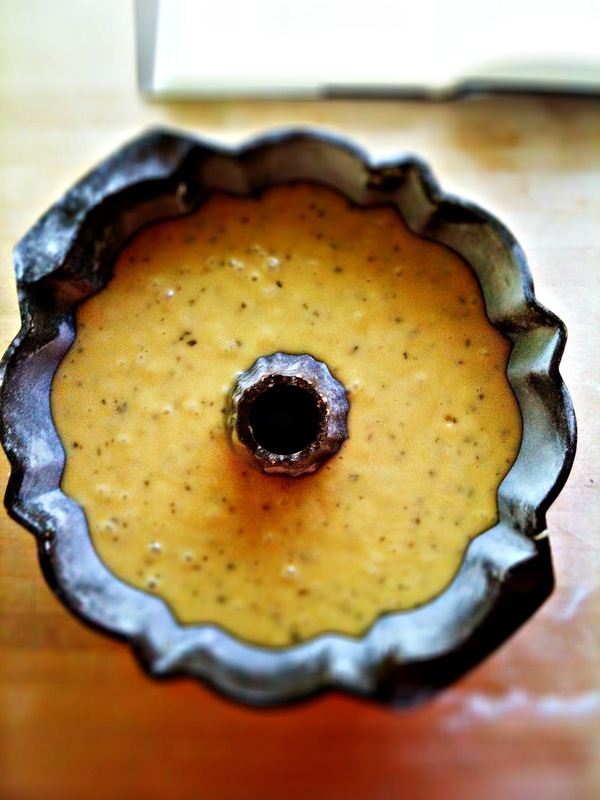 Incredibly aromatic while it bakes, your kitchen will be a happy place. 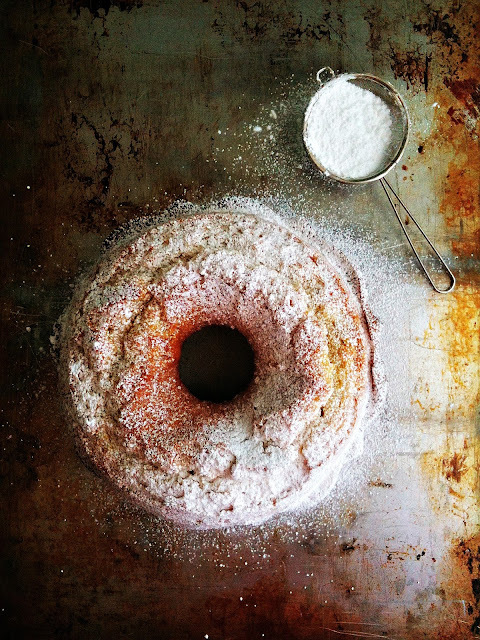 Out pops a beautiful, golden bundt with fruity olive oil flavour that's subtle but detected. Not too sweet, as Tamar says, but sweet enough. I love how the lemon lit up the rosemary and the crumb is dense, but tender, satisfying. Dusted with icing sugar, it almost looks too pretty to eat. Almost. I took up Tamar's suggestion of slathering a piece with some mascarpone cheese I have hanging out in the fridge from the time I baked these cookies. Sweetened whipped cream would also be a perfect accompaniment. Or just savour it as, and if you are like me and like your mornings a little sweet, warm a piece in the oven for a minute or two and eat it with your tea. A bearable breakfast, for when you think the days are not. Right now memories are tangled up with hurt and confusion but I know the day will come when I'll drive by that art gallery and not wince, but smile. For I know I am now a better woman for having gone in there in the first place. 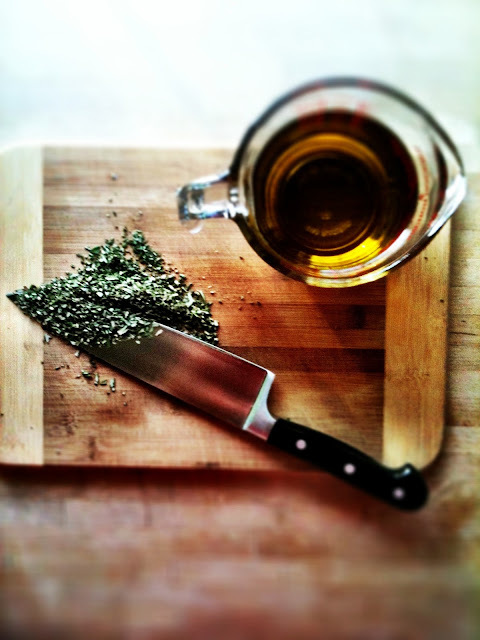 Rosemary is well known for having a multitude of health benefits, improving memory being one of them. So eat your rosemary! 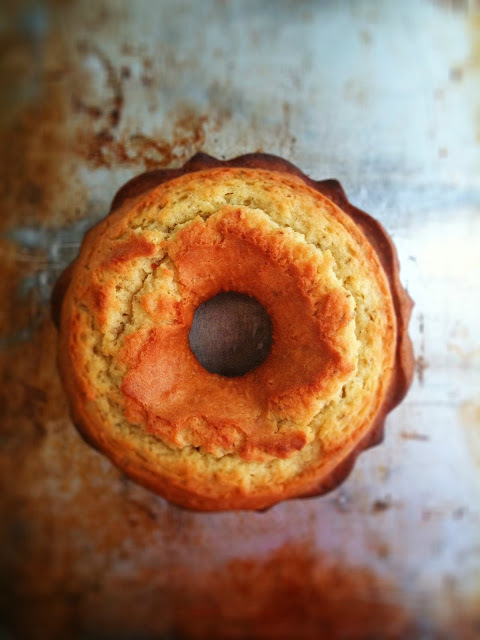 Grease a bundt pan with butter, then with flour, tapping out excess. Beat the eggs for 30 seconds. Slowly add the sugar and beat on medium speed until mixture is quite foamy and pale, about 3 minutes. With motor on slowly drizzle in olive oil, then mix in the rosemary and lemon zest. In a separate bowl, combine the flour, baking powder and salt. On low speed, gradually add the flour mixture to the egg mixture and beat just until combined and no lumps. Pour into prepared pan. Bake for 45-50 minutes in centre of oven. Cake should be done when toothpick inserted comes out clean and cake should look golden and spring back when touched. Let cool in pan for 5 minutes then tip out onto cooking rack. Dust with icing sugar and eat as is, or with mascarpone cheese or sweetened whipped cream. Makes a rather large cake, enough for 10 servings, at least. 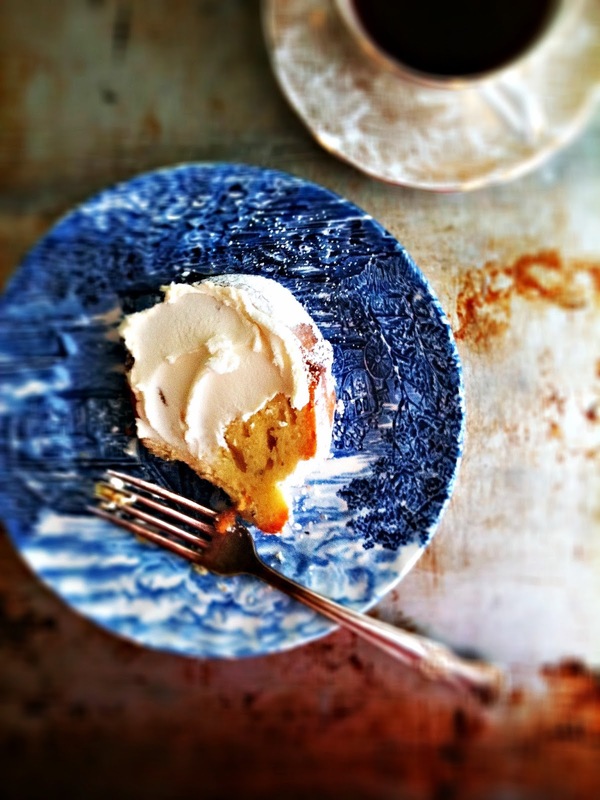 Recipe from Tamar Adler, An Everlasting Meal, via Paul Bertolli, Cooking by Hand. I bet it's delicious:) I've made olive oil cookies before and they were great too! I loved Ms. Adler's book too, and this looks beautiful. Thank you. Mmmm love the lemon/rosemary combo in this cake! The last line of this post is perfect- you are a better woman for it, Renee. There is more good to come for you! I've been reading your posts; such eloquent expressions of loss. Beautifully written, and great looking food. You can't go wrong with rosemary and lemon. Melissa - thank you! I'm liking things on the less-sweet side myself. Donna - thank you. Her book is a wonder. I like that this cake is not too sweet. No chance of finding fresh rosemary where I live - can I substitute with dry? If so, how much? Thank you! I think if you substituted about 1 tbsp of dried rosemary that would be fine. Try and get it fine though, by rubbing in your hand or chopping it first. Let me know how it turns out! how do you take your pictures? i wanna take one like this, i got a nikon d3100 so any tips would be appreciated. looks good too! Renee, Clearly it has been too long since I've paid you a visit. I'm so sorry for your heartbreak. I think we've all enjoyed following your romance last year. It is honest and generous of you to also share your heartbreak with us. You are so right that heartache is universal. I'm sorry to hear that you are deep in it these days. Thanks Judit & Corina - I love this combo too! Is it really eight eggs in this recipe? That seems like an awful a lot. Yes, there are really 8 eggs in the recipe! It's a big cake!